What a delightful wooden dollhouse! 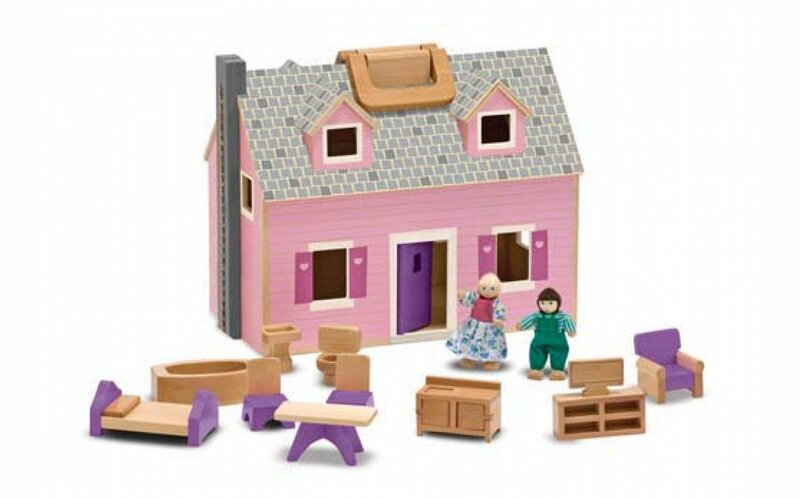 Two flexible, wooden play figures live in this house, complete with eleven pieces of wooden furniture. 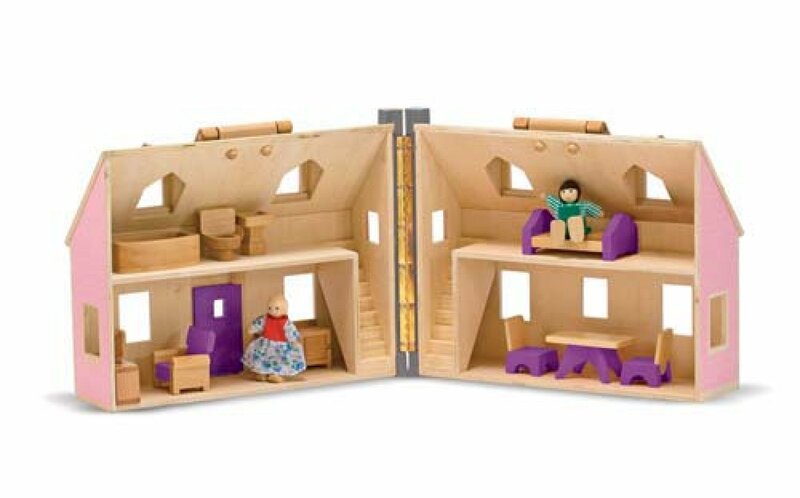 The doll house opens for easy access and folds closed for convenient storage. Children will enjoy carrying it around and arranging the furniture. Weighs under 4 lbs for easy travel. Dimensions (folded): 13.25" x 7.4" x 10.5"
This is a great addition to my toys. 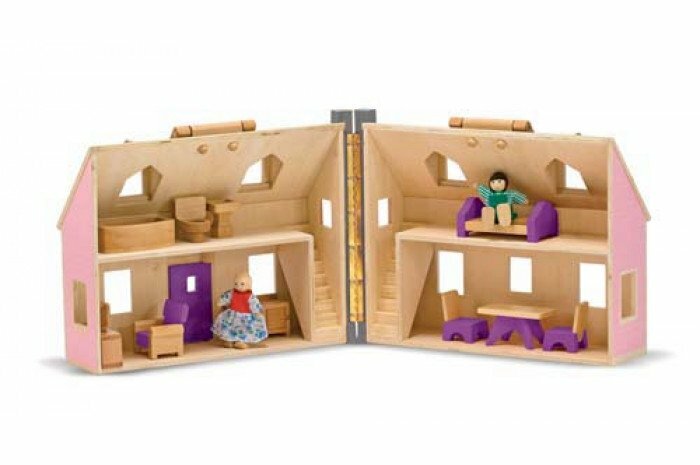 I was looking for a simple design in my doll house and my dolls so my clients can project their perception of life on to the toys more easily. This fits my expectations well. The furniture fits great in the house. I have taken the dolls and placed them elsewhere so they can be added according to my clients' needs. The 'fold and go' is a great feature. It's light and easy to move. I picked up this little gem for my private practice work as a child life specialist. 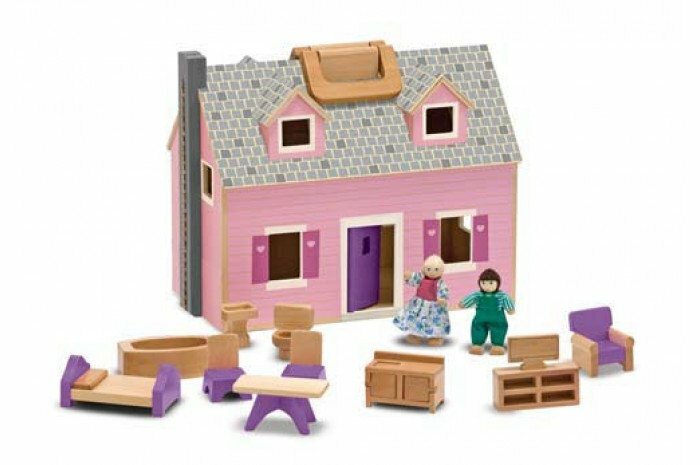 I love that the house is portable, has furniture and figurines included. It's a great quality and easy to clean. This is perfect for any specialist working with children. I purchased this dollhouse as part of my ongoing learning for my MA in counselling psychology. I was very happy with the quality of the dollhouse. I used in a presentation on play therapy and my colleagues loved it. I will definitely have this in my office when I start my mft traineeship.